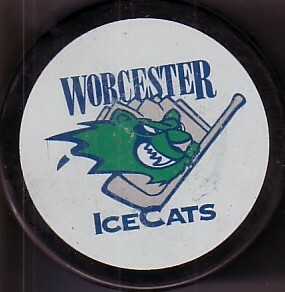 Official Worcester IceCats vintage late 1990s era AHL logo hockey puck (the team moved to Peoria in 2005). New and unused but with minor flaws and wear. ONLY ONE LEFT.